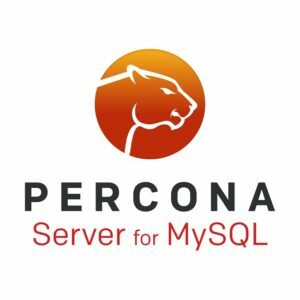 Percona announces the release of Percona Server for MySQL 8.0.13-4 on January 17, 2019 (downloads are available here and from the Percona Software Repositories). This release contains a fix for a critical bug that prevented Percona Server for MySQL 5.7.24-26 from being upgraded to version 8.0.13-3 if there are more than around 1000 tables, or if the maximum allocated InnoDB table ID is around 1000. Percona Server for MySQL 8.0.13-4 is now the current GA release in the 8.0 series. All of Percona’s software is open-source and free. It was not possible to upgrade from MySQL 5.7.24-26 to 8.0.13-3 if there were more than around 1000 tables, or if the maximum allocated InnoDB table ID was around 1000. Bug fixed #5245. SHOW BINLOG EVENTS FROM <bad offset> is not diagnosed inside Format_description_log_events. Bug fixed #5126 (Upstream #93544). There was a typo in mysqld_safe.sh: trottling was replaced with throttling. Bug fixed #240. Thanks to Michael Coburn for the patch. Percona Server for MySQL 8.0 could crash with the “Assertion failure: dict0dict.cc:7451:space_id != SPACE_UNKNOWN” exception during an upgrade from Percona Server for MySQL 5.7.23 to Percona Server for MySQL 8.0.13-3 with --innodb_file_per_table=OFF. Bug fixed #5222. On Debian or Ubuntu, a conflict was reported on the /usr/bin/innochecksum file when attempting to install Percona Server for MySQL 8 over MySQL 8. Bug fixed #5225. An out-of-bound read exception could occur on debug builds in the compressed columns with dictionaries feature. Bug fixed #5311. The innodb_data_pending_reads server status variable contained an incorrect value. Bug fixed #5264. Thanks to Fangxin Lou for the patch. A memory leak and needless allocation in compression dictionaries could happen in mysqldump. Bug fixed #5307. A compression-related memory leak could happen in mysqlbinlog. Bug fixed #5308. Find the release notes for Percona Server for MySQL 8.0.13-4 in our online documentation. Report bugs in the Jira bug tracker.